Welcome! Please take time to look through the variety of opportunities and wealth of information provided for students, families and community members. We are very proud of our advanced technology capabilities that have greatly enhanced our curriculum. Throughout the school year there are a wide variety of activities that are listed on the building and district calendars and open to the community. The Chief of Staff and Transformation Officer, provides leadership and direction for various district departments including Student Services, Human Resources, and EMIS. The Department of Curriculum and Instruction is responsible for the management and development of PREK-16 curriculum, the selection and purchasing of textbooks and educational materials, professional staff development, testing and assessments, and student achievement. 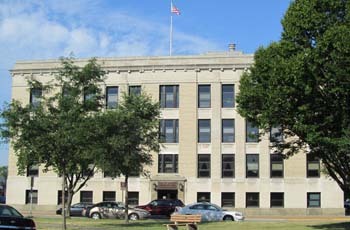 The Finance Department of the Sandusky City Schools oversees all fiscal operations of the school district. These operations include financial forecasting, budgeting, grant management, payroll, accounts receivable, accounts payable and employee and district insurance programs. Visit the Athletics and Activities page to learn about the wide variety of activities and sports available in Sandusky City Schools. The mission of Dining Services is to provide delicious and nutritious food in a friendly, clean, safe environment. Sandusky City Schools is always looking for dedicated, enthusiastic and talented individuals to become part of our educational team. Applications are always welcome. The Maintenance Department is responsible for the upkeep of our buildings, facilities, and grounds within the school district. The Gifted Services Department offers a continuum of services to identified students based on their specialized needs. Sandusky City Schools is committed to providing students with opportunities along a continuum of services that offers access to and participation in the activities of the school and community environments as appropriate to the age. Sandusky City Schools strives to provide the technology and support necessary to educate today’s students for tomorrow’s jobs. Through careful planning and procurement, the district has been able to update equipment in all classrooms, and provide a wide variety of peripherals by actively pursues grants. Title Programs Coordinator works to ensure that federal and state dollars granted to Sandusky City Schools are used within required categories to assist the professional development of teachers and the academic achievement of students. Transportation staff are responsible for safely transporting our students to and from school, as well as to events held outside the district.